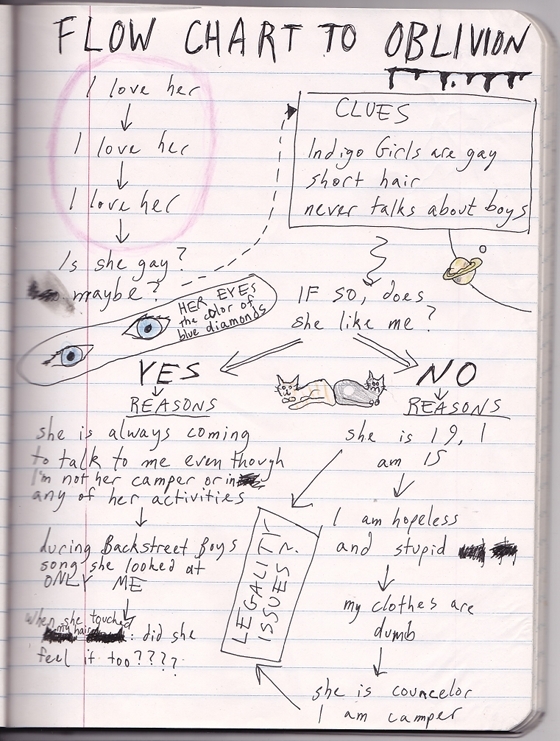 This is a page from a journal I kept for about a week that summer. It’s pretty embarrassing (“when she touched my hair: did she feel it too??? ?”), but I think it’s the best way to demonstrate how stupefied I was by the sudden onset of love for this girl. I remember feeling like I was going to die, and wondering if that was normal, because I thought love was supposed to be elating and fun. 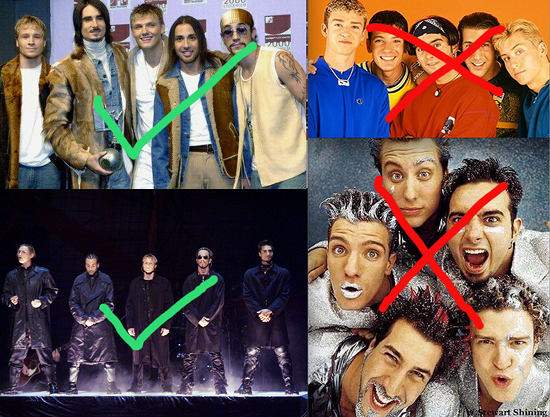 Maybe let’s just skip to addressing why there’s a Backstreet Boys appearance in this flow chart. That summer there was a mania for talent shows devoted entirely to boy band lip-syncing. I was in the Backstreet Boys dance. I liked Backstreet Boys because they were mysterious and from Kentucky. I DID NOT like ‘N Sync. ‘N Sync disgusted me. I found them cheesy and repulsive. Look how awful and childish they are, compared to the moody, masculine, post-Columbine styling of the Backstreet Boys. All summer I passionately championed the Backstreet Boys against tremendous opposition. Then at the boy band talent show I received critical raves for my Howie performance, despite the strong camp bias for ‘N Sync. Later, Meg told me that show was the first time she ever really noticed me. So in a way it was my dedication to the Backstreet Boys that shaped these events. your journal reminds me of notes I took during my first experience with psychedelics. also I like how 98* only covers 2* of the popularity chart. 98* is a JOKE. Can you believe this music video is real? 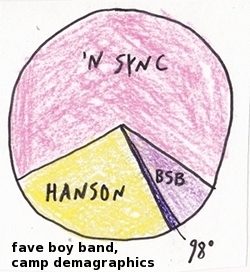 I was an NSYC fan. Juniper, you should seek treatment for this. I will admit that N Sync boasts the flashier dance moves…. BSB perhaps relied over-much on the earnest face + fist-wringing combo.